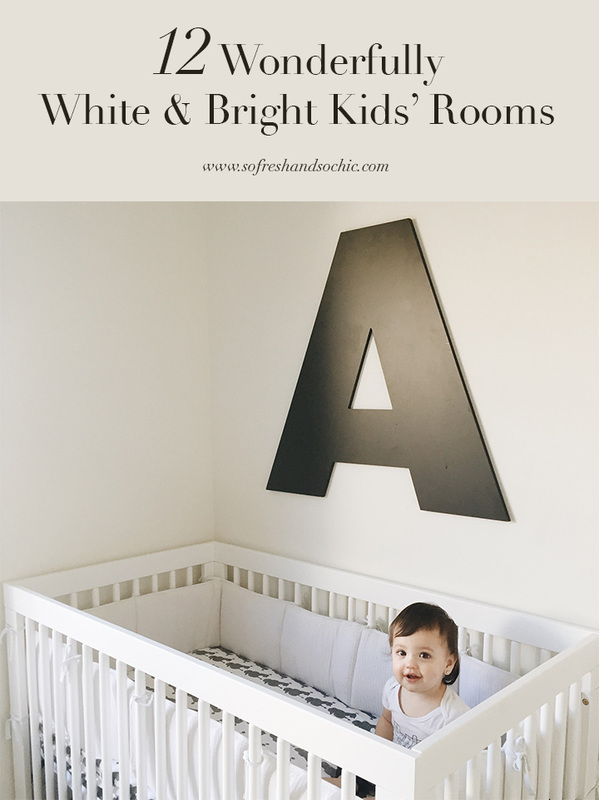 12 Wonderfully White and Bright Kids’ Rooms + A Free Printable! 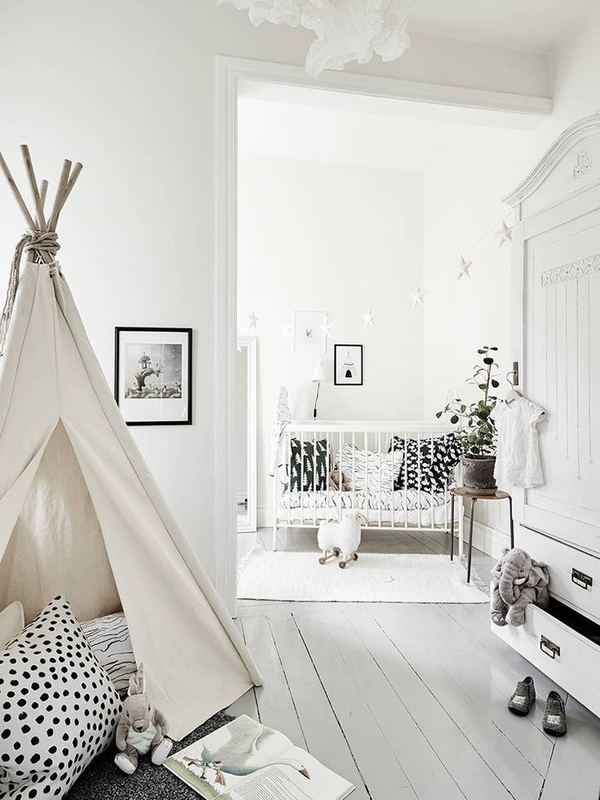 Search Pinterest for “kids room inspiration” and sure enough you’ll see a thousand and one search results pop up and, what most of them will have in common, is lots of colour. 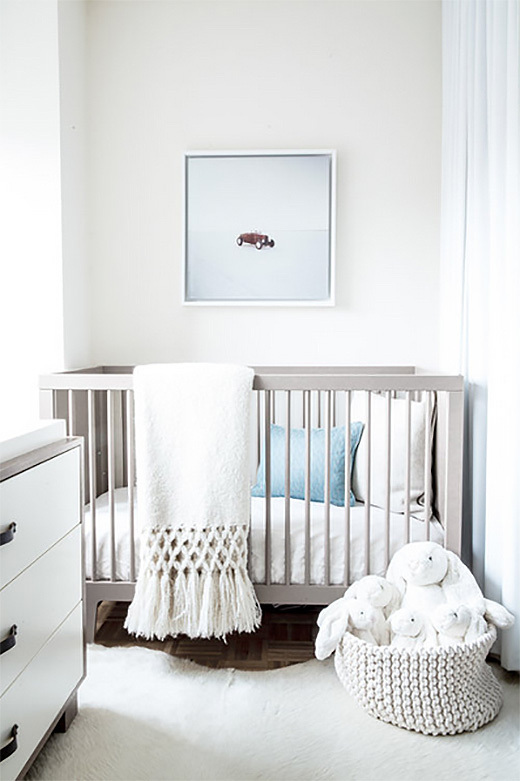 From light grey walls to pops of pink and blue to dark and sophisticated spaces, these rooms can be so gorgeous and well-designed. 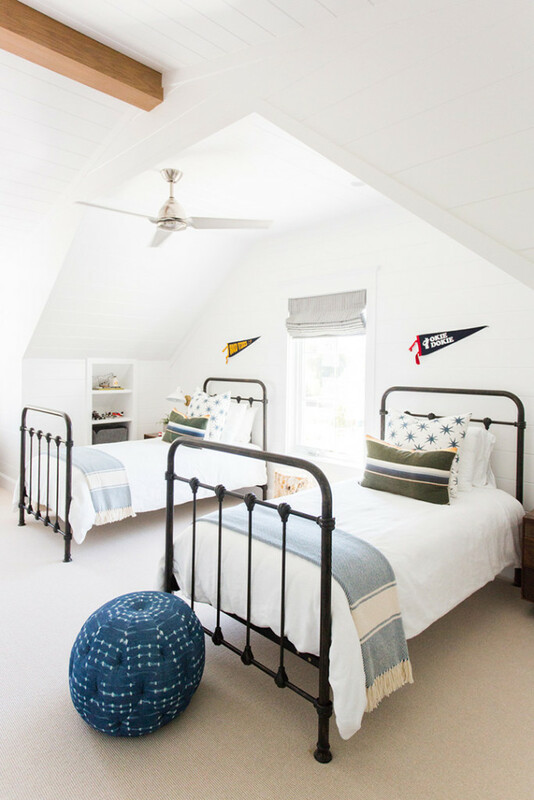 What I’d like to show you today, though, is a round up of 12 wonderfully white and bright kids’ rooms. Two houses ago, this was the kids’ room and that is the Baby hanging out in her crib. She was so small! The giant letter A and the crib bedding are both from Land of Nod, and the crib is from the Baby Mod Marley line at Walmart. 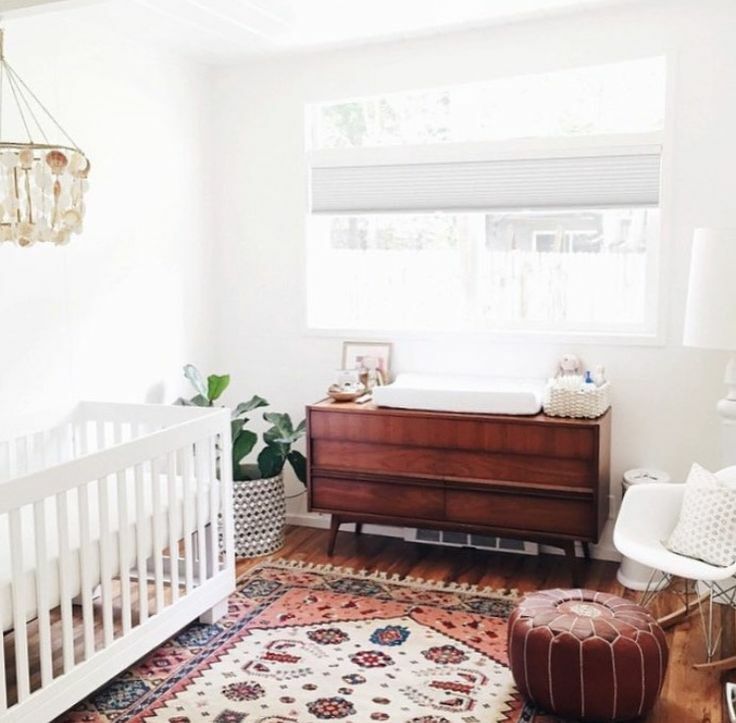 If you’re looking for a mid-century style crib that won’t break the bank and is well constructed, this is the one for you! 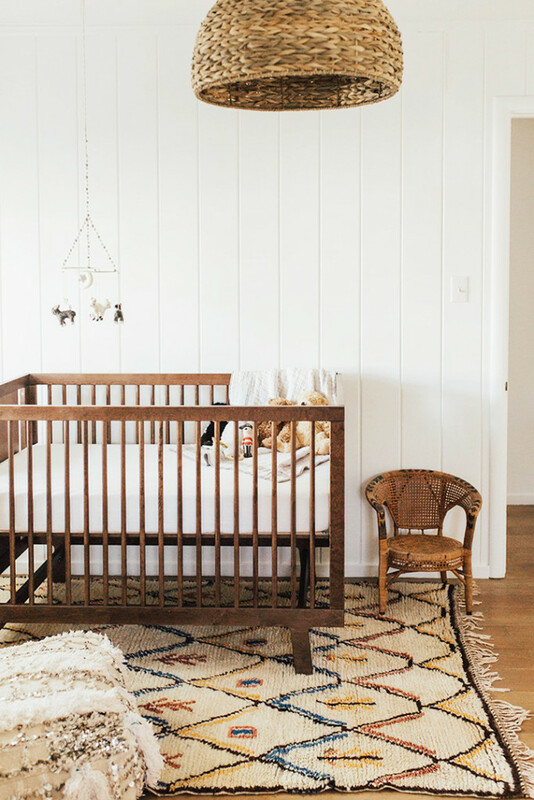 The legs and bottom trim on this crib are absolutely gorgeous! 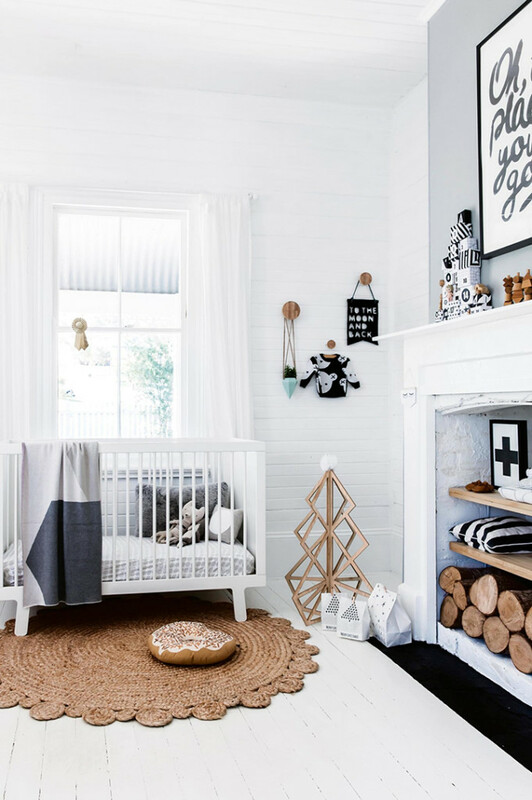 There’s a general perception that white rooms are hard to maintain for little kids and that they can appear stark or cold. 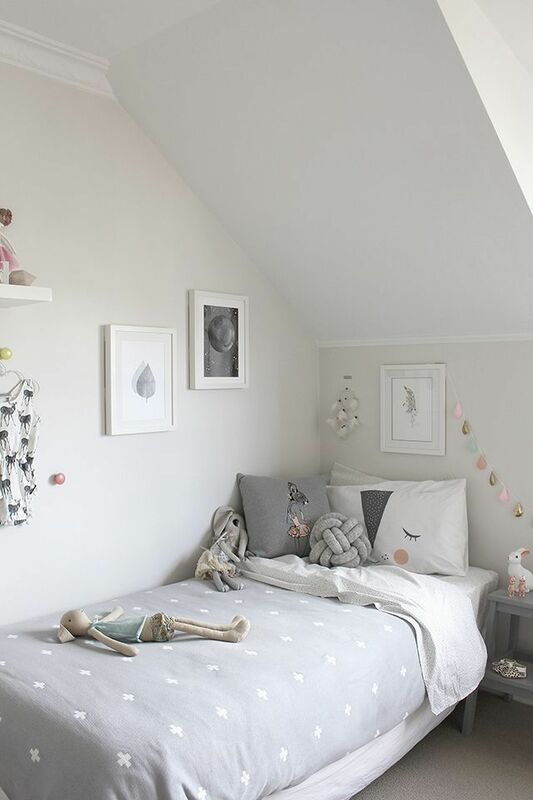 I think that when you pair them with the right accessories and pops of colour, a mostly white room for kids’ can be very liveable and super cute too. 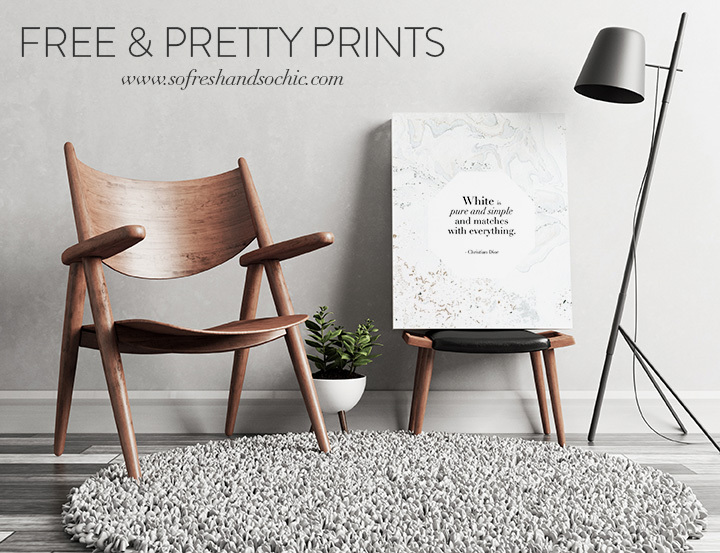 Its easy to forget that wood furnishings and floors can add warmth to spaces too without adding visual clutter. 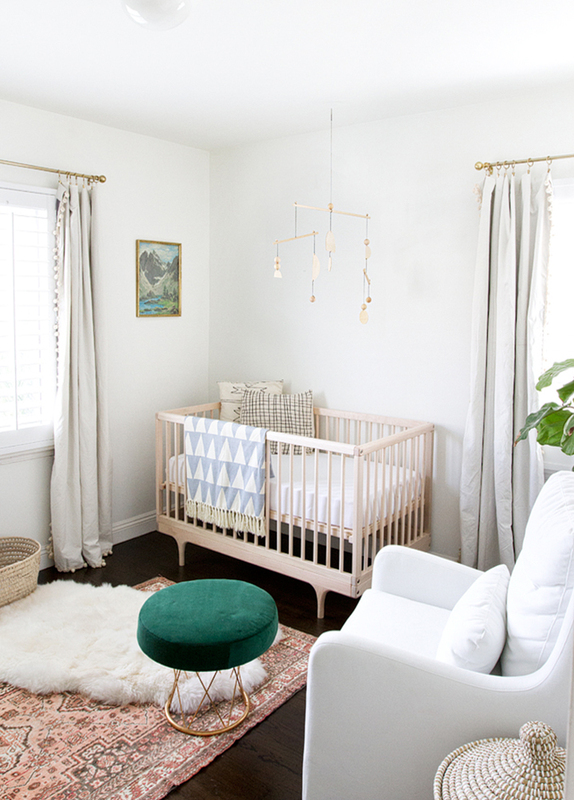 By far though, painting the walls white is the biggest, and easiest, way to make an impact. 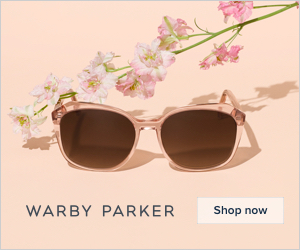 That puts them at the top of my design love list! Of course, I just couldn’t end this post without designing a free printable, so here you go. 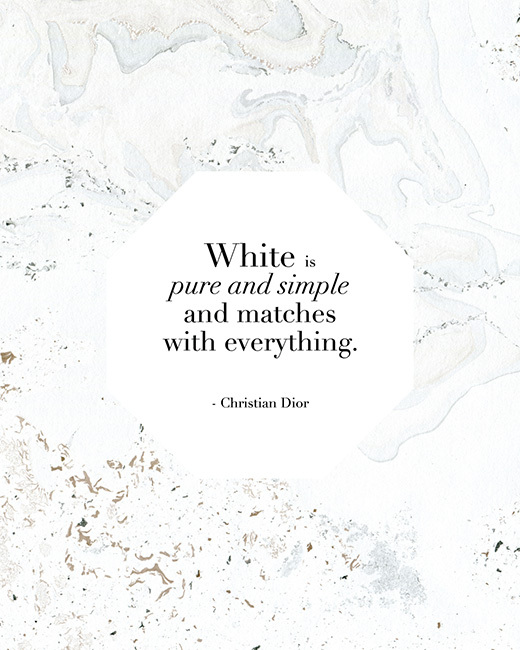 From the incomparable Christian Dior himself, “White is pure and simple and matches with everything.” C’est la vérité, n’est-ce pas? So what do you think? 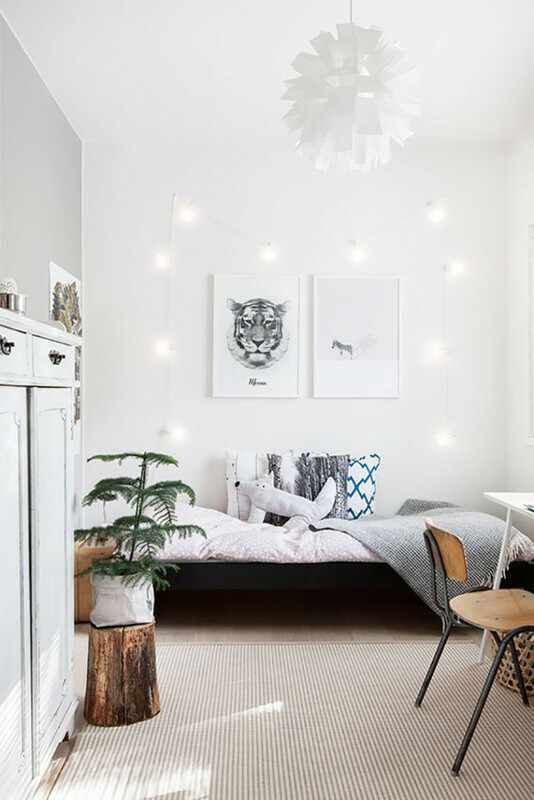 Do you agree that white walls can make for wonderfully white and bright kids’ rooms, or are you one for coloured walls and lots of colourful accents? Leave me a comment below and let me know.